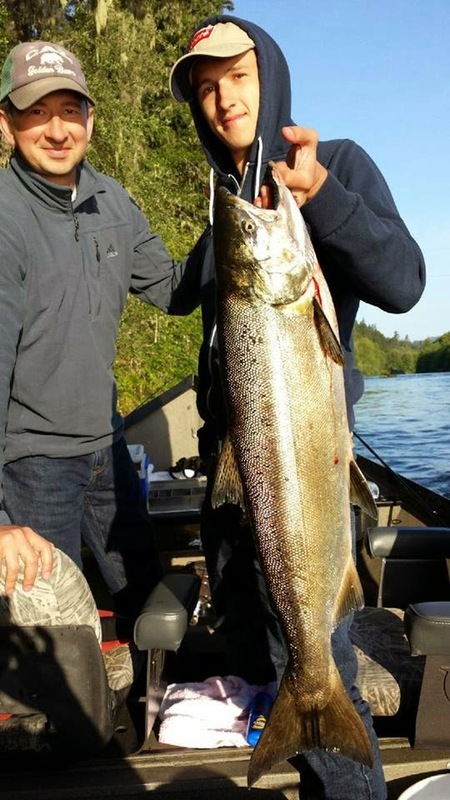 Umpqua river steelhead fishing is still producing some nice spring steelhead. We have been getting a few opportunities a day and folks have been taking advantage of the great weather. There is some talk of a few springers getting caught and we are starting to book our spring Chinook trips on the Rogue and Umpqua rivers. Do not let this springer season pass you buy and give us a call today to see what we have in store for the 2015 season. Umpqua Steelhead fishing is steady and the horse power these fish have is unbelievable. We have been getting our fish side-drifting on yarn and eggs. The bite has been off and on some days better than others. Most boats are getting a couple fish a day, and the Umpqua fishing guides are seeing 3 to 5 fish a day. The weather has been incredible with temps in the 60's. We will be fishing for steelhead through April and have 4 days left to fill for the season. If you want to lace into some chrome give us a call before its too late.